← Yes, There Is Christian Persecution In America. No, It Does Not Look Like What Christians Worry About. Should We Forgive the Unrepentant? Post by Pastor Tim – Most of us are more experienced finding “forgiveness loopholes” than in finding ways to practice forgiveness. That is because we are challenged by 1) Difficult cases of sin, like I referred to in my last post, 2) Popular and even scholarly teachings on forgiveness from the secular world, which we implicitly assume must be compatible with the Christian understanding and practice of forgiveness, and 3) A general lack of agreement among modern-day Christian leaders on how, when, and why to forgive, each citing the Bible persuasively and conclusively in their teaching. And not to be overlooked, of course, is our own sin-nature which fights against forgiveness every step of the way and deceives us into believing that we are well-served by finding loopholes rather than plunging through eyes of needles by the grace of God. One of those complicated and recurring “forgiveness topics” that divides Christians today is the question, Which comes first: forgiveness or repentance? (Just do a Google search and you’ll find a wide variety of opinions among notable Christian ministries.) But I think that Pastor Foley hit the nail on the head when he said that God’s forgiveness was actually offered before repentance. In other words, we were offered forgiveness by Jesus giving his own life, while we were still sinners, while we were still his enemies. Christ’s forgiveness paved the way for our repentance, not the other way around. If we are following Jesus through this world, every situation we meet is one where forgiveness is normal. There’s no need to get very technical about it. If you were hanging out with Jesus, you’d hear forgiveness announced all the time. While I am not Jesus, I relate to every person through him, his cross and through his forgiveness. We can make a career of looking for the forgiveness loopholes, but our reliance on technicalities which exempt our own particular unforgivenesses from further scrutiny and resolution often takes us away the fostering of a personality of and predisposition toward forgiveness that we should have, independent of circumstance. What about the person who won’t repent? I can still forgive them as Christ would. I can offer forgiveness and embody it. But without specific repentance, that forgiveness will be unilateral. Remember Paul’s words? Repentance is important to forgiveness . . . extremely important. But that doesn’t permit us to live our lives demanding repentance from others in exchange for our forgiveness. Practically speaking, this means we should live our lives offering forgiveness to others in light of how God forgave us. Getting someone to repent is not our job. We can’t force anyone to acknowledge their own wrongdoing and repent from it. 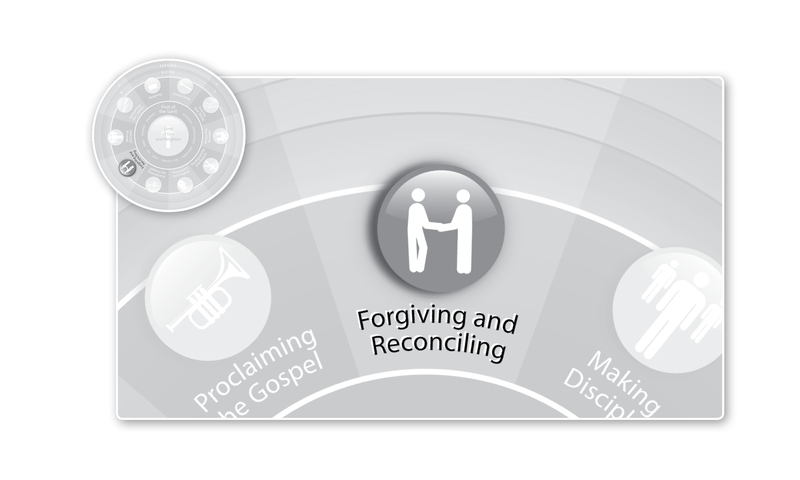 What we can do is to be predisposed to offer forgiveness to others, as an ambassador for Christ, imploring others to be reconciled to God. This entry was posted in Forgiving and Reconciling and tagged complicated forgiveness, forgiveness without repentance, Internet Monk. Bookmark the permalink. 7 Responses to Should We Forgive the Unrepentant? I believe this is spot on. Thank you for the reminder and encouragement. Too often I grow weary and seek a way out. Truly there is peace only when we are in agreement with Jesus Christ. Thanks for commenting Lucinda! You bring up a good point . . . forgiveness is not easy and most often involves sacrifice. Not something to try in our own strength. Hi Ted! I am learning about forgiveness and seeking to spread the word. I hope you don’t mind if you share your link. Keep up the good work! Sorry, please edit Ted to “Pastor Tim.” Sorry! No problem at all! Thanks for your thoughts and I pray that God continues to shape you in relation to forgiveness. Thanks! It is people like yourself that make a real difference in this world.